Canadian comedy entertainment legend Don Harron, perhaps better known as his recurring sketch comedy character, Charlie Farquharson, on TV's musical-comedy-variety series Hee Haw. Nee Donald Hugh Harron, the comedian and actor was host of CBC Radio's Morningside show for 5 years (1977-1982), and performed on stage as well as in television guest and starring roles throughout his career. He first debuted the comedic character of country bumpkin Charlie Farquharson onscreen while co-hosting TV's The Big Revue musical comedy series in 1952. Harron could be seen on stage in the Stratford Shakespeare Festival, and on Broadway in Richard III. Don Harron is also associated with his involvement in developing the classic Canadian novel about childhood and growing up - Anne of Green Gables (by Lucy Maud Montgomery) - for 2 television productions in the 1950's. He wrote the screenplay and directed both the 1956 and the 1958 TV movies Anne of Green Gables. Harron then later developed Anne of Green Gables as a musical stage play, where it has been performed in PEI's Charlottetown Festival for over 50 years. Meanwhile, while he was making a name for himself as a comedic talent, Don Harron also played many serious roles in films and on TV. The Canadian anthology drama television series Encounter (originally titled General Motors Presents) ran from 1952-1961. 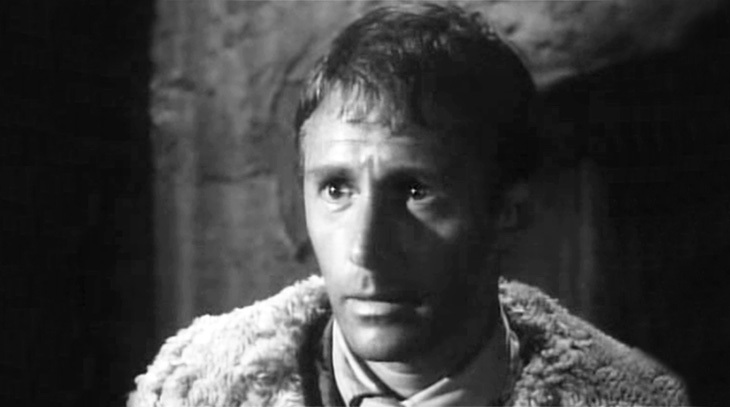 Over the course of the show, Harron appeared 11 times in episodes that included other guest-stars such as Kate Reid, Austin Willis, Patrick Macnee, Joan Blackman, Bruno Gerussi, John Colicos, Barry Morse, and others. Don Harron's first credited film role was in the romantic drama The Best of Everything (1959) starring Hope Lange (The Ghost and Mrs. Muir), Stephen Boyd, Suzy Parker, and Diane Baker. Harron had a supporting role in the film's strong cast that also included actors Brian Aherne, Martha Hyer, Brett Halsey, Louis Jourdan, Joan Crawford, and future producer Robert Evans. He was re-united with his The Best of Everything co-star Hope Lange, when he played a major role in the made-for-TV movie Cyrano De Bergerac (1962) with Canadian actors Christopher Plummer and Gordon Pinsent. 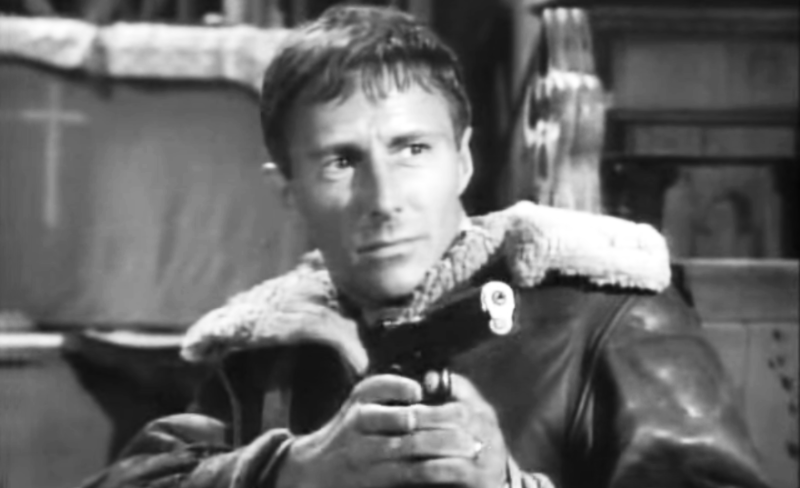 Don Harron guest-starred four times (as different characters each time) on the WWII-era 1960s television series 12 O'Clock High with series regulars Robert Lansing (Brigadier General Frank Savage), John Larkin (Major General Wiley Crowe), Frank Overton (Major Harvey Stovall), Paul Burke (Colonel Joe Gallagher), and Chris Robinson (Sandy Komansky). Other supporting cast members in these episodes included Earl Holliman (Police Woman), James Farentino, and Peter Haskell. Below, in the "Between the Lines" 1965 episode of 12 O'Clock High, Don Harron plays terrified Master Sgt. Trask, a clerk for General Stace (guest star Larry Gates). Starring in the episode are series regulars Paul Burke, Chris Robinson, and guest star Philip Bruns as co-pilot Pete Gargas. Dr. Kildare, starring Richard Chamberlain and Raymond Massey, in a 3-episode arc that co-starred fellow guest actors Mercedes McCambridge and Ramon Novarro. The Defenders, starring E. G. Marshall and Robert Reed. Harron appeared in two different episodes of The Defenders. The Outer Limits, a fantasy anthology series; Harron guest-starred in 2 episodes with Robert Duvall, James Shigeta (later of Quincy, M.E. ), Steve Ihnat, Ivan Dixon (Hogan's Heroes), and others. Voyage to the Bottom of the Sea, an adventure sci-fi series starring Richard Basehart and David Hedison. The Time Tunnel, a time-travel adventure show starring James Darren, with Whit Bissell, John Zaremba, Lee Meriwether, and others in the cast. Mission: Impossible, a spy drama starring Steven Hill, Barbara Bain, Greg Morris, Peter Lupus, and Martin Landau. Please Don't Eat the Daisies, starring Pat Crowley and Mark Miller. The F.B.I., a true-crime drama starring Efrem Zimbalist Jr., Philip Abbott, Stephen Brooks, and Lynn Loring. Harron guest-starred on 3 episodes of The F.B.I., appearing alongside actors Peter Mark Richman, Bert Remsen, Barry Morse, Louis Jourdan, David Birney, and others. The Man from U.N.C.L.E., the spy thriller series starring Robert Vaughn and David McCallum. Other guest-stars on the episode included Leo G. Carroll, Luciana Paluzzi, and Susan Seaforth Hayes. Mr. Novak, a high school drama starring James Franciscus as the title teacher, with fellow guest stars Whit Bissell and Burgess Meredith. The Fugitive, starring David Jansen as a man on the run fighting to clear his name. While he was kept busy on television during the 1960s, Harron only appeared in 2 feature films in that era. He had a supporting role as a general in the Walt Disney historical adventure film Mosby's Marauder's (1967), which starred James MacArthur, Nick Adams, Kurt Russell, Peggy Lipton, Jeanne Cooper, and James T. Callahan. In the WWII action movie I Deal in Danger (1966), Harron co-starred with Robert Goulet. From 1969-1982 Don Harron was a semi-regular on Hee Haw, playing himself and resurrecting his character of Charlie Farquarson. He also served as a screenwriter for many episodes of the popular series. Although Hee Haw commitments took up much of his time, Harron found a window to take on a supporting role in the Academy Award-winning film The Hospital (1971). The Hospital starred George C. Scott, Diana Rigg, and Richard Dysart, with a large cast that included Nancy Marchand and Katherine Helmond, among others. Towards the end of his onscreen career, in 2003-3004 Don Harron guest-starred in character as Charlie Farquharson several times on The Red Green Show, starring Steve Smith. An active senior citizen, Don wrote books and was inducted into the Canadian Country Music Hall of Fame in 2010 (age 85). In character as Charlie Farquharson, Don Harron appeared in a print campaign, advocating the use of walkers, canes, and scooters urging seniors to reduce falls and injuries. "Get over bein' an old fogey! Get a handle on life." Harron also filmed a public service announcement for the seniors safety campaign, below. Married 4 times, Harron's second and third wives were in entertainment themselves - American actress Virginia Leigh (married 1960, divorced 1968), and Canadian actress-singer Catherine McKinnon (married 1969, divorced 2003). Don Harron married his 4th wife Claudette Gareau in 2012 at age 87, and was survived by her and his 3 children from previous marriages when he died of cancer at the age of 90 on January 17, 2015. Below, a younger, solemn Don Harron in a serious scene from 12 O'Clock High. Note: This article was first published in 2015 with the title Farewell, Don Harron. It has been updated with new & additional content.